Natural talent led to his enrolment at the Leicester Municipal School of Art in 1909, from where he won a scholarship to the Royal College of Art in 1914. 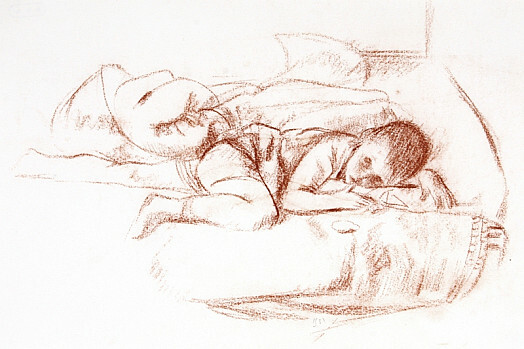 In London, serious, patient, comprehensive study of life drawing was the first discipline taught and can be singled out as the experience that most influenced his uncompromising attitude to learning and practising art. The First World War interrupted his progress; he served as a gunner in the Royal Artillery from 1915-1919, however the delay meant that he became a pupil of the famous etcher, Sir Frank Short, when he resumed his studies. 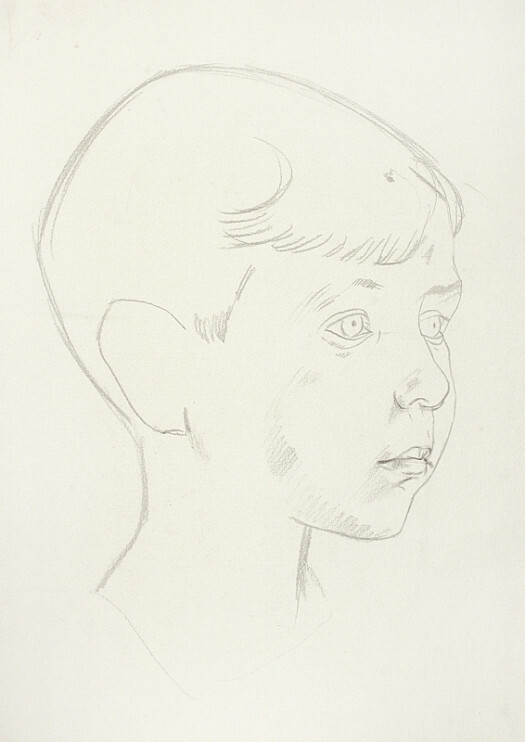 Robert Sargent Austin’s career was notable for the ease with which he perfected different artistic techniques, and his etchings under Sir Frank Short were so proficient that he won a scholarship to the British School in Rome in 1921. This was an unrivalled opportunity to be immersed in Italian artistic culture and if his methodology was formed at the Royal College of Art, then his style was most influenced by this period of discovery. Through extensive travel around the country and careful study of the landscape and paintings, particularly the prints of the Old Masters, he found a source of influence that perfectly suited his own exacting practice of art. Additionally this also convinced him that line engraving was more suited to his temperament than etching. Mastering this new technique with ease he returned to England in 1926, a married man since 1923, and took up the post of professor of engraving at the Royal College of Art. He held this post until 1944 and the teaching of art quickly became as important to him as its practice. Pupils remember him as tough, frightening and often brutally honest, but found him an inspirational, dedicated teacher who would devote himself to students that showed enthusiasm. He was interested only in the execution of art; when he was given his new college name-plate he hung it over his lavatory door at home, highlighting a lifelong disinterest in the aggrandisement of ‘Art’ and its multifarious pretensions. A former pupil remembers him saying “We can talk about Art later, let’s find out how to draw first.’ He was promoted to the role of Head of Graphic Design at the Royal College of Art in 1948, but turned down the position of Principal as he wanted to remain an artist not an administrator. Robert Sargent Austin’s purchase of a studio at Burnham Overy Staithe, Norfolk, in 1935 and the lives of his three children most influenced the content of his output. The Norfolk wildlife fascinated him (he particularly adored birds) and the landscape he found there stirred him to paint; his family remember him rising before dawn most days to capture the summer light at its purest between five and seven. 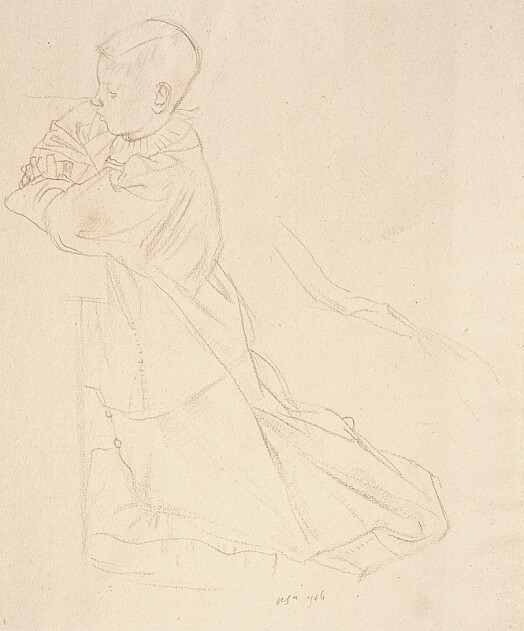 The activities of his growing children, both in Norfolk and London, were his other constant source of artistic subject matter as the selection in this show demonstrates. During the Second World War he was appointed official war artist to the Royal College of Art at Ambleside and his art became temporarily dominated by the Woolwich Arsenal, nurses, fighter pilots and other workers, particularly women, whom he felt were under represented in the War effort. The Imperial War Museum now holds thirty four of these pieces. The 1940s and 50s were dominated by a series of prestigious appointments and commissions in recognition of his prodigious talent. He was elected to the Royal Academy in 1948, made President of the Royal Watercolour Society in 1956 and asked to design the Bank of England’s new bank notes in the same year. 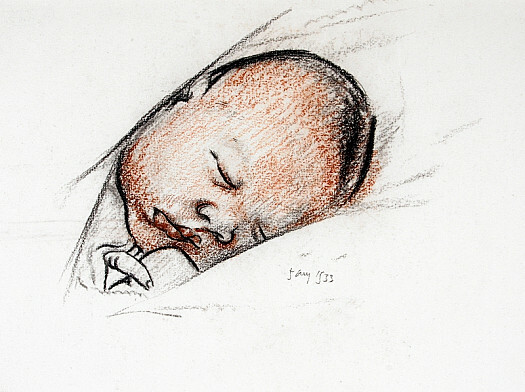 In 1962 he was also elected President of the Royal Society of Painter-Etchers. Essentially a humble man he remained devoted to art for its own sake, uninterested in selling it or even receiving approval from others. Despite this his pictures are now held in the collections of the Tate Gallery, The Victoria and Albert Museum, The Fitzwilliam Museum, The British Museum and The Ashmolean Museum and a huge retrospective of his work was held at the latter in 1980.